25-year-old David McGowan made the move from Connacht Rugby to La Rochelle in 2007. Although he still admits to missing home, he has settled into the patterns of French life and is a true convert to the morning coffee social scene and the bloody steak. I catch up with David as he is just dealing with his local bank – an often testy affair in which one can come face-to-face with the sort of bureaucracy for which France has become well known. In spite of this, however, McGowan is content with the decision to move to the Atlantic city four years ago. In France, the traditional stronghold region of rugby has been down in the South-west, centred around clubs in Toulouse, Perpignan and Béziers. As in Ireland, however, the sport has been growing and spreading out from its traditional bases, as well as being strong in pockets around the country. 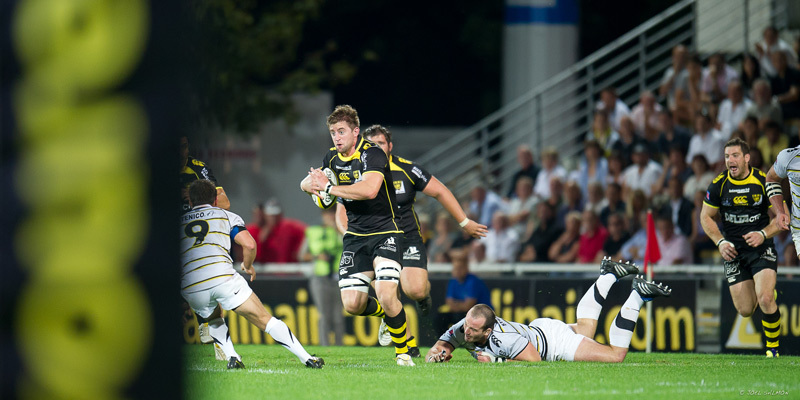 Such a pocket is La Rochelle and their team – Stade Rochelais – for which McGowan was invited for a trial enjoys fervent local support. It’s second only to sailing as the main sporting pre-occupation. 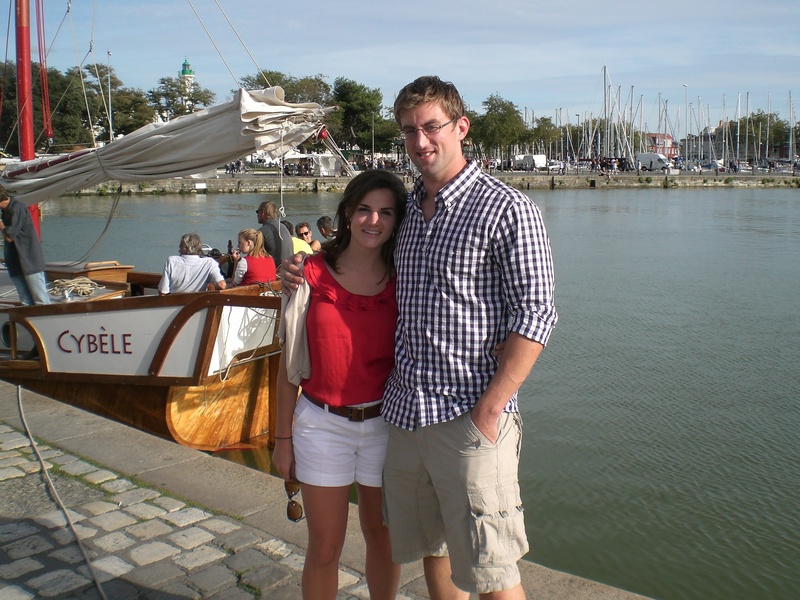 McGowan was soon playing regular professional rugby in warmer climes in one of the nicest towns in France. As a child, he had come to France many times and had been on camping holidays with his parents both north and south of La Rochelle but confesses that he didn’t know anything about the town before moving to live and play rugby here. As for food, McGowan says that, given the choices in France compared to Ireland, he “can’t understand how everyone here is so thin.” He was never enough of a foodie to truly appreciate the French food scene in its full breadth, but one thing he is now a confirmed fan of is the bloody steak. Simply put, what most people in Ireland would consider rare would be considered to be overdone in France, where many eat their steak practically raw. Public services, McGowan says, can sometimes be a little slow. As he says himself, “You kind of have to sit on them for a while to get anywhere. But overall, the facilities here are just fantastic… The roads are fantastic. The parks and public spaces are always very very clean. At home, they are as well, but the standards are all better. Socialising interaction in France is a very different cultural experience, says McGowan. In contrast to Ireland, he found that initial contacts were relatively cold. arrived first where I live, I thought ‘Do any of the other people in the neighbourhood know each other?’ Everyone seemed so separated. Now that I know it, everyone is great friends; you’d have a drink with your neighbours regularly. Like anything, it just takes time. “At home, people would approach you more quickly whereas the French tend to hang back and wait a while. A lot of people at home think that the French are ‘ignorant and they won’t speak English to us’. They don’t realise that, although a lot of people know how to speak English, a huge amount of people don’t have a clue. I see it with all kinds of tourists here. They don’t realise how little English a lot of French people know. They think ‘Oh, he’s an ignorant f***er!’ or whatever but they just don’t have a clue how to speak English. What, in his opinion, can the Irish and French learn from one another? “There’s a café I go to early in the morning – around 08:00 or 08:30 – and there’s always the same five guys that go every day for their coffee before work. That’s a big social scene here and that’s definitely one of the things that I’ll take with me wherever I end up.